Our recital was a big success and I wanted to thank all of my staff and parent volunteers who helped to make our show one of our best ever! Below are some pictures of our dress rehearsal and recital red carpet. Awesome day with our Talented Tots Pre-K end of the season performance! Congratulations to our 4 Tots who graduated today and are off to kindergarten next year. We are now enrolling for our 2017-18 Season and space is filling up fast! So proud of my Elite Competition Team this weekend at Revolution! I am so blessed to have such awesome team parents, dancers and staff. Most all of our dances placed TOP 10, won 2 Entertainment Awards and a couple of other special judges awards, lots of Platinums and to top it all off, had 3 dances place in the TOP 3 for Overall Highest Scores for age 11 and up and 12 and over for the entire competition! 3 GOLDEN Tickets and an invitation to compete at the WORLD DANCE CHAMPIONSHIP! Great job Dancers!! Now Registering for Private Piano and Voice Lessons! We are so excited to announce that Elite Dance & Fitness is now Elite Dance, Fitness & Music! We now offer private lessons in piano and voice. Classes are $110 per month for (4) 30 minute private lessons per month. We have openings for piano on Tuesdays, Thursdays and Saturdays and for voice, we have openings on Mondays, Tuesdays, Thursdays & Saturdays. Mrs. Heather O’Dell is our voice coach and Mr. Riley is our piano instructor. Feel free to check out their BIO's! Franklin Is Sizzle Award Winner! Thank you to everyone who voted for Elite Dance in the Franklin Is SIZZLE Awards for 2016! Elite Dance was voted in the top 3 Non-Music Youth Programs in Williamson County! We are so excited to announce that Elite Dance will have a cast member from the National Broadway Tour of BEAUTY & THE BEAST coming to teach a Musical Theatre Workshop on June 1st from 9:00 – 11:00 for ages 7 and up in conjunction with our Broadway Vocal Performance workshop June 1 – 3rd! Mrs. Heather O’Dell will be teaching the Vocal Performance portion of the workshop and Miss Hannah Kohn, actress, dancer and singer from the cast of BEAUTY & THE BEAST will teach the 2 hour Musical Theatre workshop at Elite Dance on June 1st. We also have secured a special group rate of $22.50 for seats in the loge section and $33.50 for seats in the grand tier at the Tennessee Performing Arts Center for the June 1st, 7:30 PM show where afterwards, dancers who attending the workshop will get to go to the backstage door to see Miss Kohn and maybe even some of the other cast members for autographs and pictures! You must reserve your tickets to the show through Elite Dance by emailing Mrs. Cheri Urie at danceatelite@yahoo.com NO LATER THAN APRIL 10th! Congratulations to our Elite Dance Competition Team on their stellar performance at Bridgestone Arena for the Harlem Globetrotters half-time show! You guys did such an awesome job! Thank you to all who voted for Elite Dance & Fitness in the Parent Magazine’s Best Of Poll making us the #1 Dance Studio in Williamson County again for 2015! It is our 3rd year winning the top studio status and we could not be more humbled and thrilled to serve our hometown of Nolensville and the surrounding areas for our 10th Season! Congratulations Elite Competition Teams! Rising Star National Champions!! 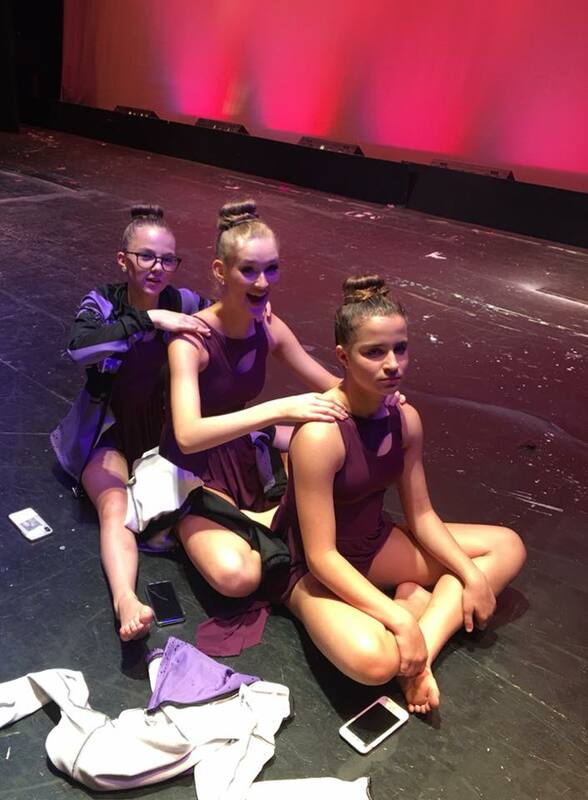 You guys rocked at your very first National Competition! We took home 6 Overall National Titles, 17 first place wins for our individual categories and age groups, 16 of our dances placed in the Top 5 Overall for their divisions and 5 of our dances placed in the Top 10 Overall for their divisions! And did I mention we had a lot of fun bonding and sharing some really great times together as a team?? Thank you to my top notch teaching staff, Tony Speight, Nadine Harrer, Heather Dabbs, Lisa Hays, Jessica Matney & Madolyn Garrett for your wonderful choreography and for pouring your heart and souls into your students. A very special thank you to all of my supportive and wonderful team parents for another great season! Thank you to all of my team dancers who put all the hard work in their classes and left it all out on the stage this year! It has been amazing to watch this team grow and bloom this season. We are so proud to have the Fleming family as a part of our Elite Dance family! Please check out the article about them and Elite Dance in the Nolesnville Dispatch newspaper on August 2, 2013. Congratulations Elite Company Dancers and Team Members on a great performance at the Nolensville Buttercup Festival! 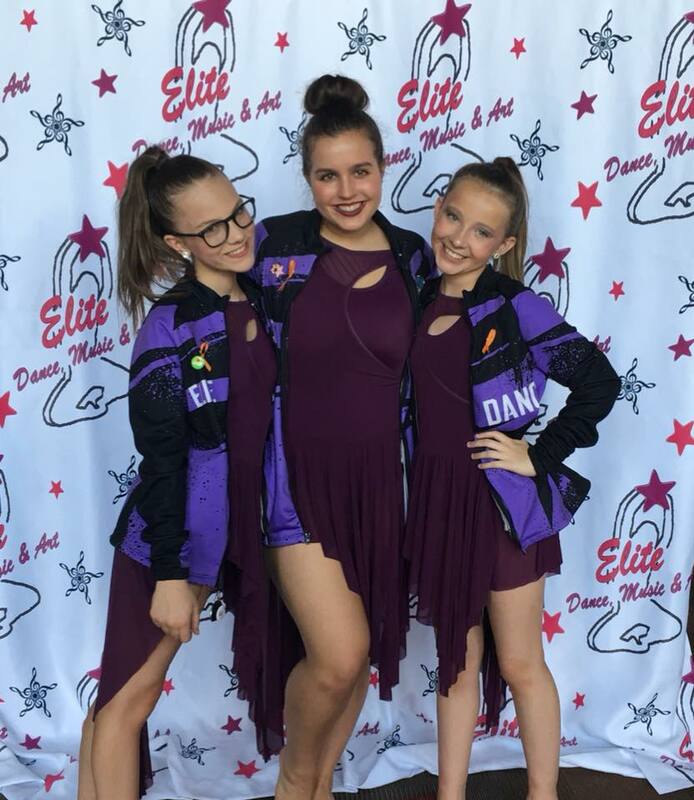 Elite at International Dance Challenge! 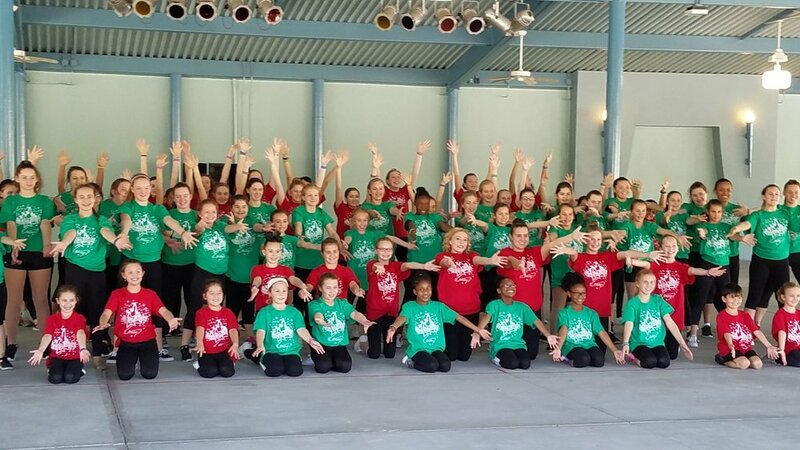 Congratulations Elite Dancers on your Disney Performances! 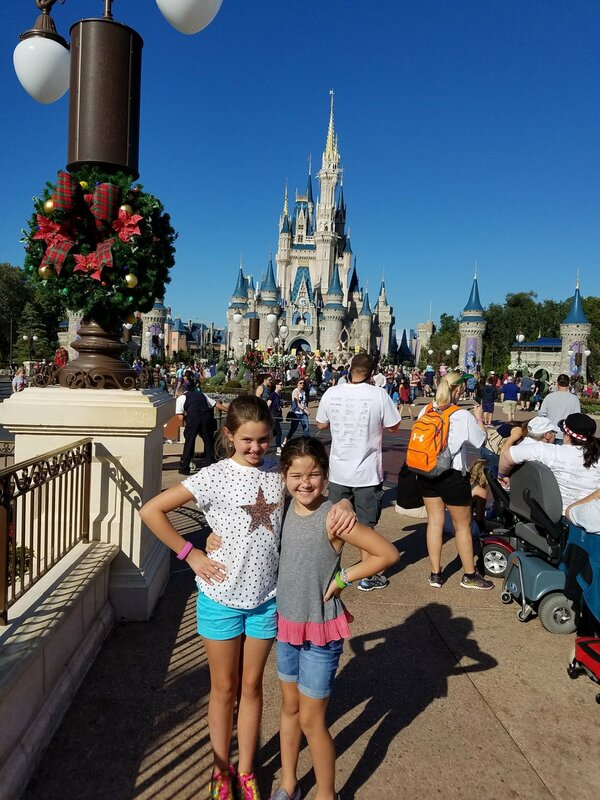 Our Disney Dancers had a great time as they traveled to Disney World in Orlando, Florida on November 30 for the taping of the Disney Christmas Day Parade! 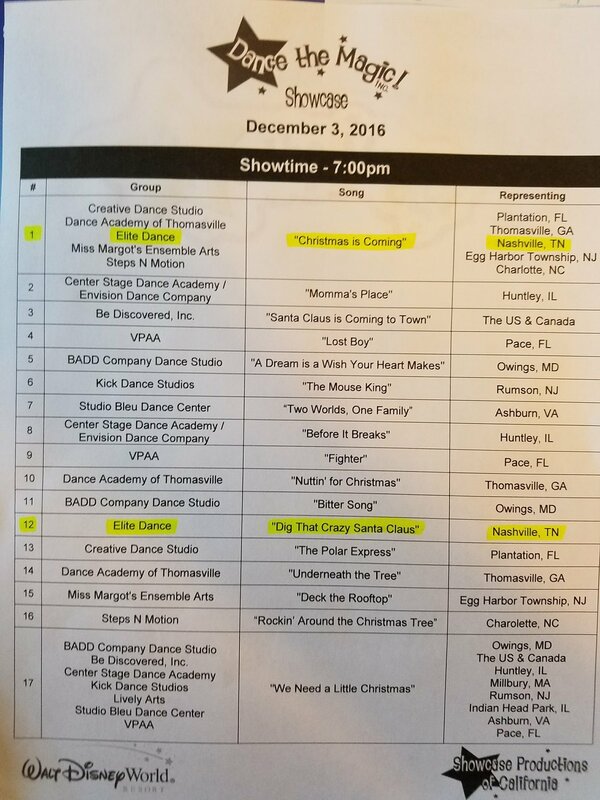 Fifteen Elite Dancers performed in three different dances that will be aired on ABC TV Christmas morning on the Disney Christmas Day parade. 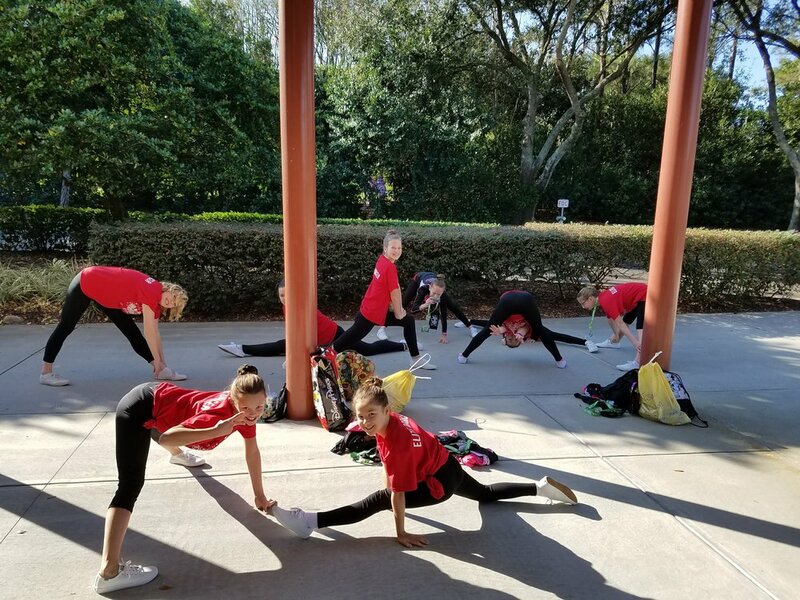 The older dancers learned actual choreography from the Broadway hit musical, NEWSIE’S and rehearsed with the choreographer from the show as well as some cast members. Our younger dancers will be featured in the BRAVE section of the parade dancing right behind Merida. Also, we had 2 of our dancers, Miss Jazmyn Jenkins and Miss Kaitlyn Cobat chosen out of 300 other dancers to be featured as one of 20 dancers for the special maypole section of the Brave dance. We are so proud of all our dancers as they did a great job representing Elite! Elite dancers in the afternoon parade at Disney dancing to Jingle Bells. “NEWSIE” dancers on Main Street at the Magic Kingdom waiting before filming at 5:00 AM. JAZMYN AND KAITLYN – Our two special dancers chosen to be one of the 20 featured “Maypole” dancers. Way to go girls! time showing their respect and gratitude for all of our local Veterans as they do each year. It was a great day for everyone!